Today’s post I am dedicating to my wonderful blogging friend Angie. For those who are unaware she hosts the most happening online party Fiesta Friday at The Novice Gardener. A place where food bloggers meet, share and chat. If you are not already partying, it is high time you do. I can’t believe it is the 50th FF already.This special one is being co-hosted by Selma @Selma’s Table and Sue @birgerbird. . 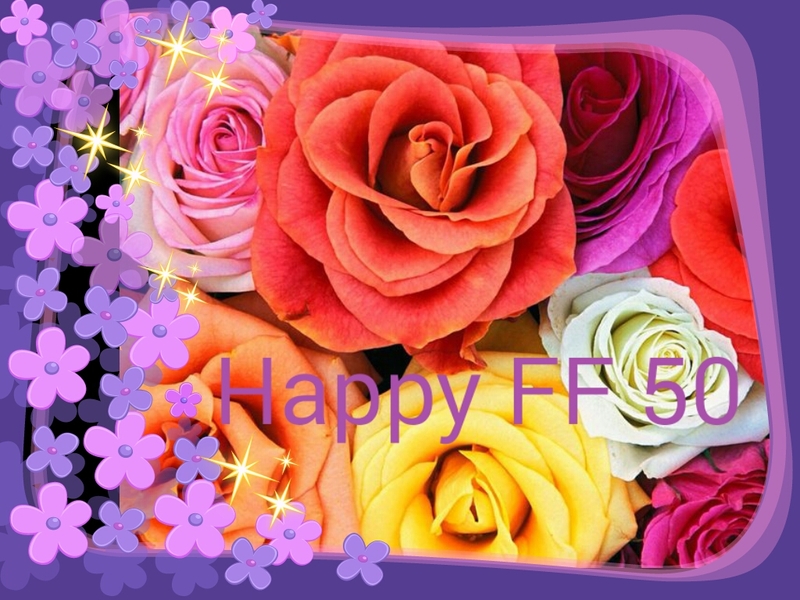 Happy Fiesta Friday 50 Angie and to each and every one of Us. We all have reasons for thanking her and you listed some great ones! You are so right, but I have to add at this point that you, too, deserve a big thank you! You have been such a support and inspiration to me over my short blogging life that I cannot thank you enough! This is just so lovely! Angie has been so generous in keeping this party going and spreading the love – we do have a lot to thank her for. Thank you too for all the support you have given me as well as so many other bloggers!! The pleasure is mine 🙂 Selma. You’re most deserving. What a great dedication post to Angie skd, I think you’ve pretty well summed up all our feelings for her, and for FF parties in general. So many wonderful folks out there, so much support, so much enthusiasm, and so much love. Beautiful flowers for a great party! So worth celebrating and with those bright colors just like the bloggers who party with Angie! Oh yeah! A nice opportunity to meet people with similar interests. Why don’t you join us this week.